After nearly a decade out of the game, Chumley’s is set to reopen September 6, helmed by Sushi Nakazawa restaurateur Alessandro Borgognone. It’s been a long time coming, since 2007 to be exact, when the 1922-born West Village pub—a literary haunt with esteemed regulars like E.E. Cummings, Edna St. Vincent Millay and John Steinbeck—closed down due to a collapsed wall. 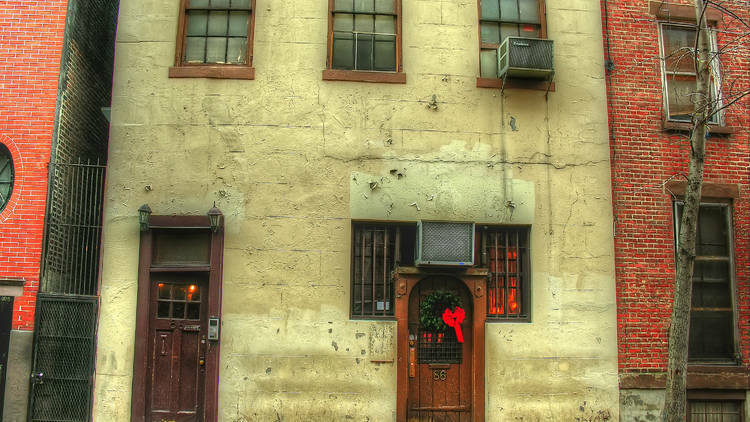 The historic bar’s been teasing a reopening ever since. enovated to capture the feeling of the original Chumley’s, it will be freshened up with new wallpaper, French-oak tables and leather banquettes, but will tip a hat to those regulars of yore, with their book jackets on proud display and paintings of writers like Hemingway and the Fitzgeralds gracing the walls. The original heavy wooden front door will remain and there will be no sign out front so, same as ever, patrons will have to be in-the-know to find it. The menu will be padded with “well executed classics,” from Atera alum Victoria Blamey. Owner Jim Miller has faced many roadblocks over the past several years, trying to revive the beloved speakeasy where he started as a part-time bartender, even facing opposition from neighbors in the area who resisted a Chumley’s comeback altogether, forcing an earlier closing time and required security into the restaurant’s liquor license. But under the tutelage of Borgognone, the cobwebs are being dusted and the reopening seems to be moving right along. Stay tuned for more details.